Getting a garden to flourish can be demanding — save time and avoid overwatering by sprinklers hydrate your plants while you enjoy the day. LML irrigation & landscaping has been helping our customers achieve greener, more beautiful outdoor environments for more than twenty years. Through designing and installing top-notch sprinkler systems and landscape projects, we've developed a reputation for honesty, fairness and quality work and craftsmanship. Our great results start with a great team. 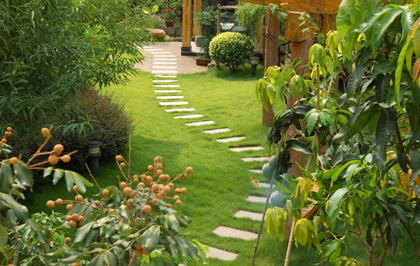 In addition to our design team, we have fantastic landscaping and sprinkler installation experts. We are fully licensed and insured. We believe in approaching every project with an eye to customer service. We will listen to you and make sure that all your questions and concerns are addressed. You can count on LML irrigation & landscaping to be honest and upfront with your bid. Our commitment to you is unsurpassed. needs are residential, commercial, industrial, institutional or recreational "We install the best Sprinkler System and Landscaping"
At Louis Irrigation, we understand that safety is important! We hold three million dollars in liability insurance to protect our clients, and we're WSIB compliant to protect our staff. We offer a wide variety of services including: new installations, service for all kinds of brand name systems, annual maintenance programs. While we specialize in residential irrigation, we are also experienced at installing and servicing commercial or industrial systems, public parks, golf courses and office buildings. We use well trained technicians to maximize efficiency and effectiveness of your automatic sprinkler system. If you would like to see one of our systems in your area, we'll be happy to give you a list of referrals.